In our “Introduction” of the main topic “Ripple Effects,” we briefly inferred a word about Oppenheimer, the Atom Bomb, and its effects on this plane, in and of itself, as being one of the more simpler appreciations of the subject. However, why don’t we explore just one of the ‘actual’ Ripple Effects, on this plane, from those events, but MUCH MORE SINISTER! What do I mean by “sinister,” you ask? Well, upon inspection of the two cities (post atom bomb explosions), it was discovered that the SHADOWS of humans were literally LEFT BEHIND!!! They were burned into the concrete that survived the atomic blasts in Nagasaki and Heroshima!!! There. How’s that for a “Ripple Effect?” That is just one of the reasons why, at the end of my intro., I expressed that this composition has a very “…frightening…” aspect to it, and you’ll come to discover that this fear becomes more and more prevalent as we venture further away from this realm/plane and into the other-dimensional. It is there that we learn we can then literally predict what outcomes (ripple effects) may occur from our thinking about and/or acting on our thoughts/choices. Even Jesus (Yeshua Messiah, “YM” from hereon), Paul, and James pointed out that “…thoughts become actions…” ( Mat. 5:28; Luke 6:45(b); ROM. 6:12-13; and James 1:15 (thus, thinking alone can ultimately become manifest in this realm and beyond, and culminates as sin), and we are accountable for those thoughts. Remember what General Marcus Aurelius said in the movie “Gladiator?” I quote: “What we do in the here and now echoes in eternity!” That brief statement succinctly, but impactfully, expresses the entirety of this premise. Yet, it leaves a lot to be desired, as well. and be gave his coat a hitch. they perished from the COLD WITHIN!!! The foregoing poetry conveys a “cause and effect” relationship, relative to our thoughts, and how they manifest themselves onto this realm, wrenchingly destroying one another, and then that grows exponentially — “Ripples” — having an effect in another dimension, destroying LIFE and empowering DEATH; one force ebbs and dies, while the other thrives and expands its destructive force: Villainy thrives, while innocence dies. How can we claim to be enlightened individuals knowing we are, as Oppenheimer cried out, “Shiva, Destroyer of Worlds!” Man’s inhumanity to man. What will you decide now? See ya in Chpt. Two. 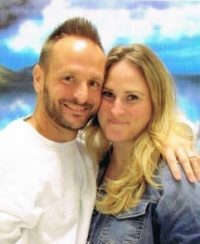 (For Email Contact, Go To: http://www.jpay.com, and enter my name and prison number). “What do you want in a Relationship?” by Ronald C. Moore, Jr.